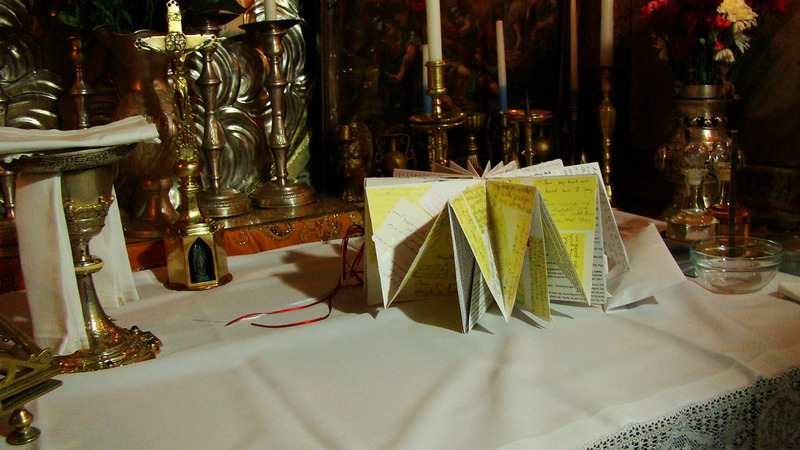 Even though at this moment we cannot literally stand with our “family” of the Catholic parish of Beit Jala, as we literally stood with them whenever we go to the Holy Land on pilgrimage, we stand with them liturgically and virtually. 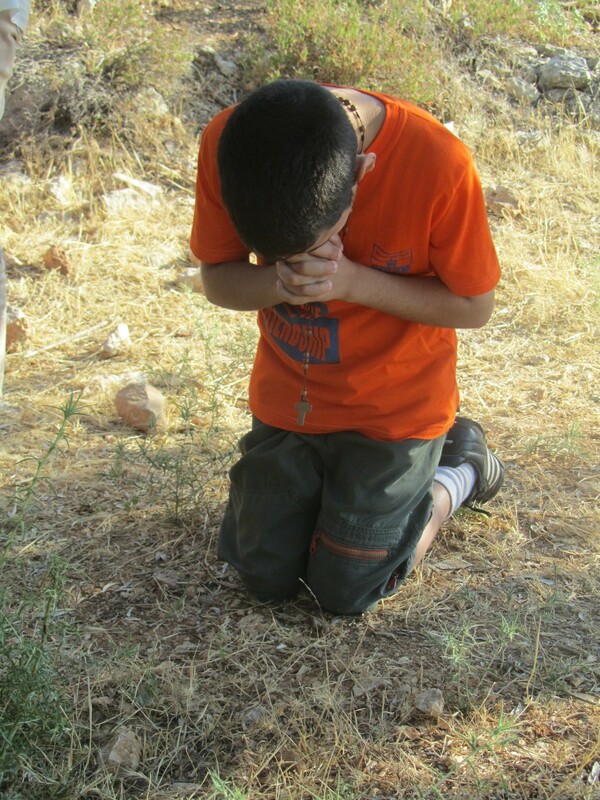 Although we cannot stand with them in the fields of the Cremisan valley, they will know that we support them at this time and that we are praying with them and for them. The Israeli Supreme Court informed today of its decision on the route of the separation wall in the Cremisan valley in Beit Jala, following the hearing which was held on August 4th, 2014. 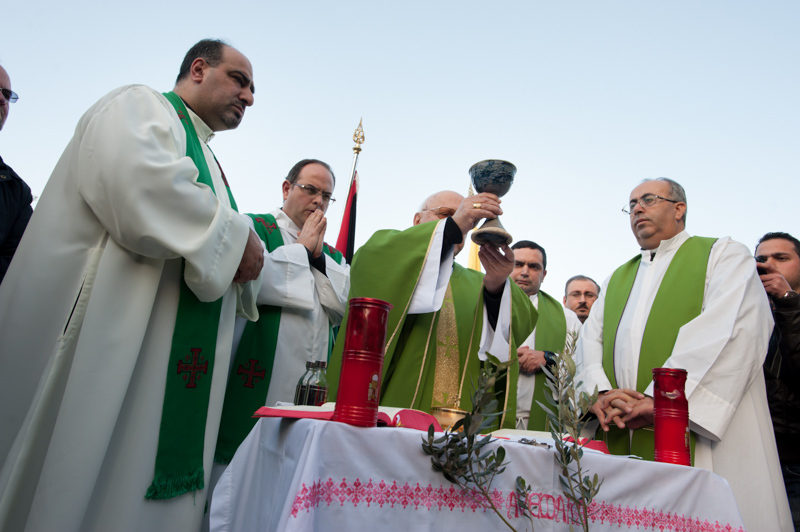 The Court decided that as to Israel’s suggested route of the wall, Israel must take into consideration different possibilities by which both Salesian convents in Cremisan are taken in and included within the Palestinian side of the wall. The Court gave Israel until September 4th, 2014 to respond to its decision. 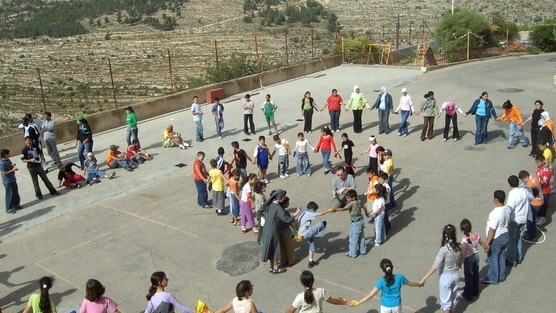 As such, St. Yves’ lawyer Zvi Avni, representing the Salesian Nuns Monestary in Cremisan said today that: “The Court’s decision cannot be considered a final ruling on the case. 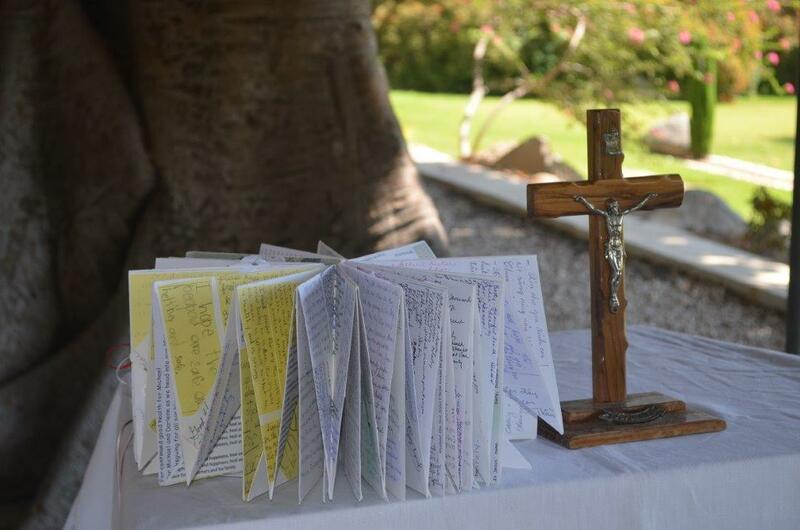 However, it is a sign that the Court has taken into consideration the importance of respecting religious rights and freedoms and the unity of the Salesian convents”. The wall being built through the land and homes of Palestinian communities dividing families, isolating them from their farmland and their livelihoods, and cutting off religious institutions, has continually been condemned by international legal institutions. Notably On July 9, 2004, the International Court of Justice found the separation wall to be illegal under international law and international humanitarian law. It is not finished yet, but this is a reason for singing! 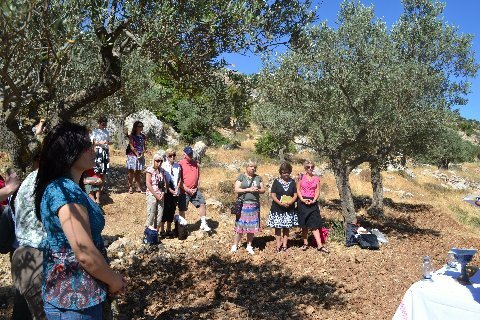 During the Mass in Cremisan valley our pilgrim-teachers saw three reasons for why they were praying and singing in the olive grove. 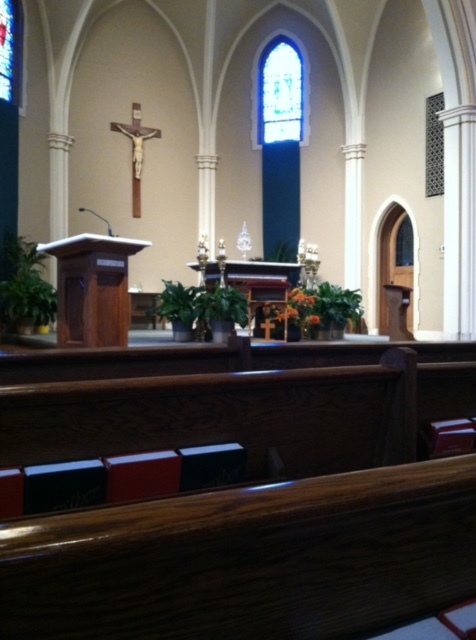 … and here’s a third. 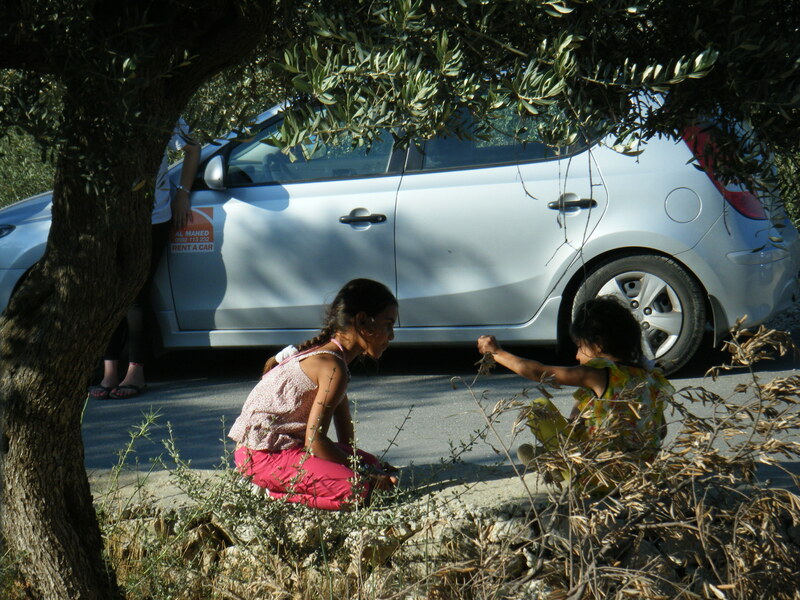 These children deserve a green space in which to picnic and play. 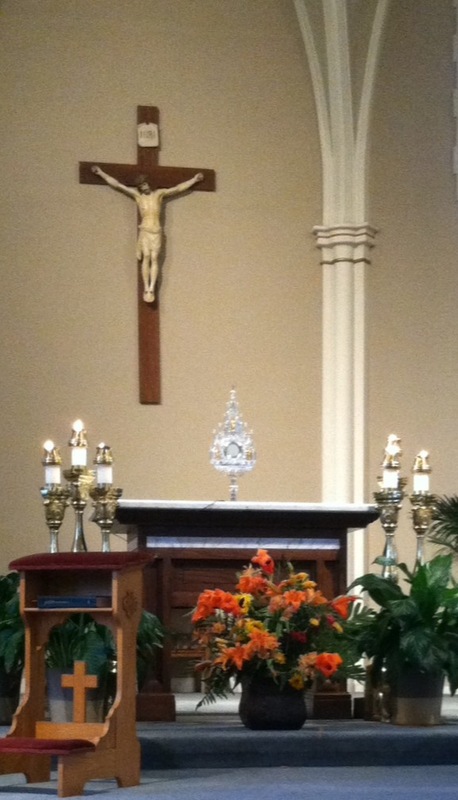 That’s why we sang and prayed. send your children to school with these conditions? 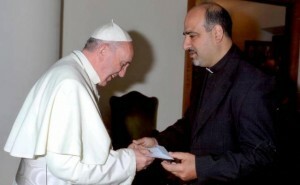 nuns and children to be walled in on three sides of their school? 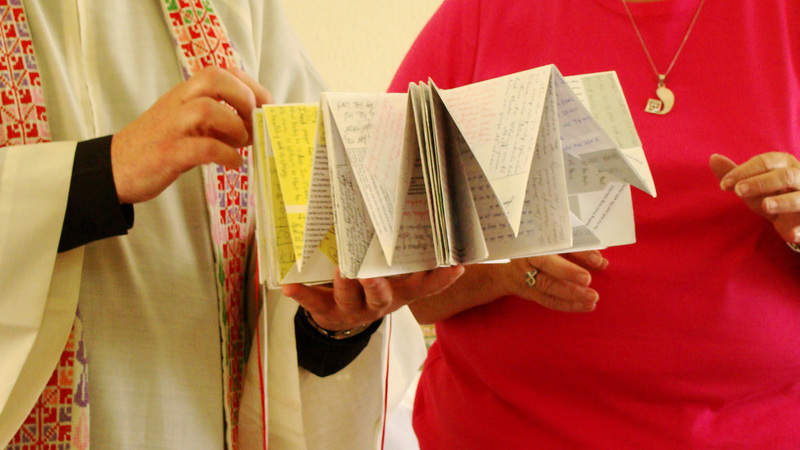 nuns and monks separated by concrete wall and hindered from praying together? 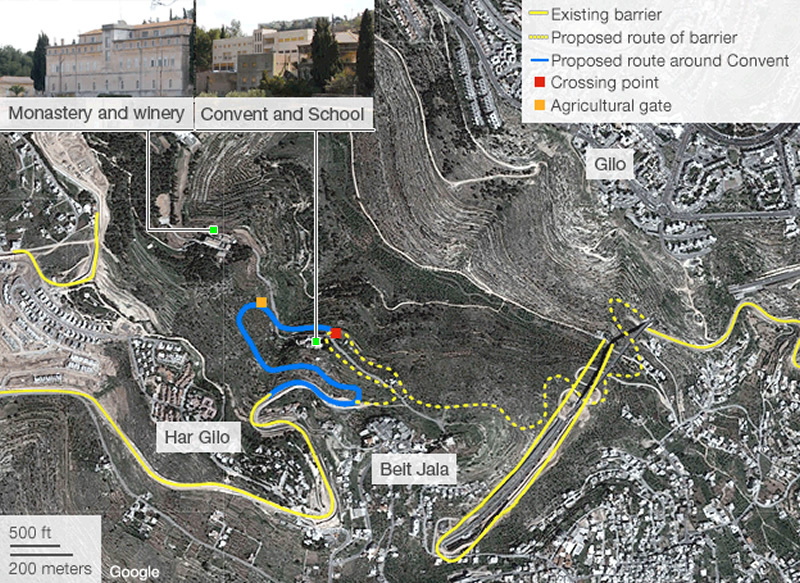 JERUSALEM (CNS) — An Israeli court has approved the construction of the Israeli separation barrier along a route that will nearly surround a convent and its primary school and confiscate most of their land on the outskirts of Beit Jala, West Bank. After more than six years of legal proceedings, the decision was handed down by the Israeli Special Appeals Committee for Land Seizure under emergency law in late April. 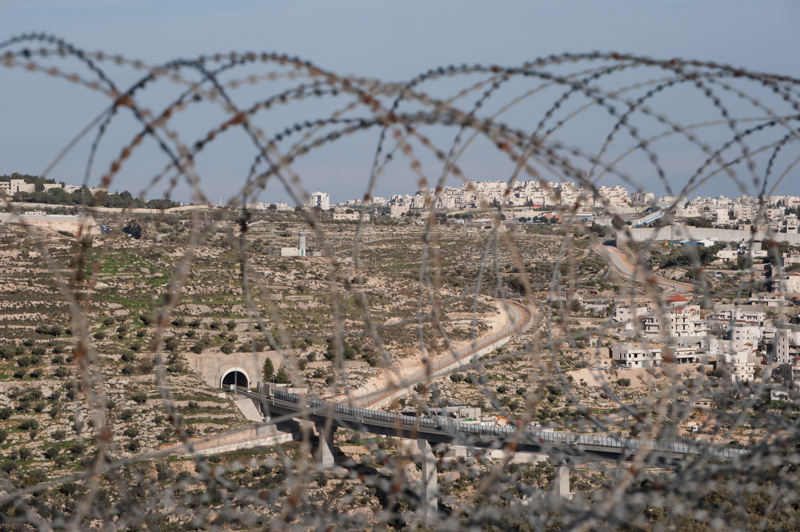 The Israeli separation barrier is a series of cement slabs, barbed-wire fences and security roads that would effectively separate Beit Jalla from two Israeli settlements, creating a strip of land that could be used for expansion and the eventual joining of the settlements. 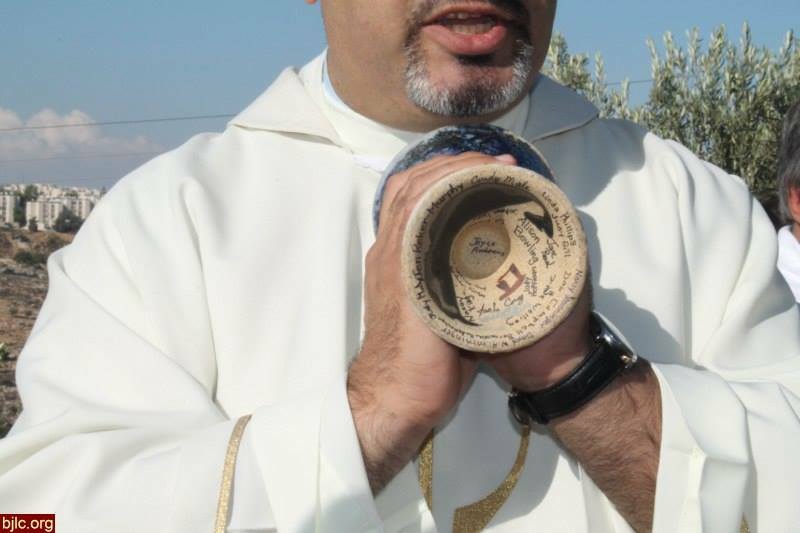 The plan, which leaves the convent and school on the Palestinian side of the wall, will also cut off the Salesian sisters’ convent from the neighboring Salesian male community, which will be on the Israeli side of the wall. Though a gate is to be placed in the wall to ease movement between the two communities, Heinlein said that this is a violation of religious freedom. 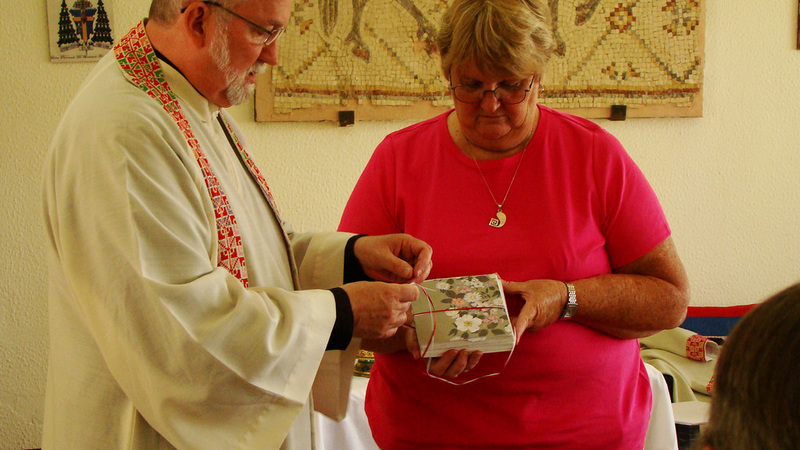 The Salesian men “come on a daily basis to the nuns to celebrate the holy Mass; this is not freedom of religion,” she said. 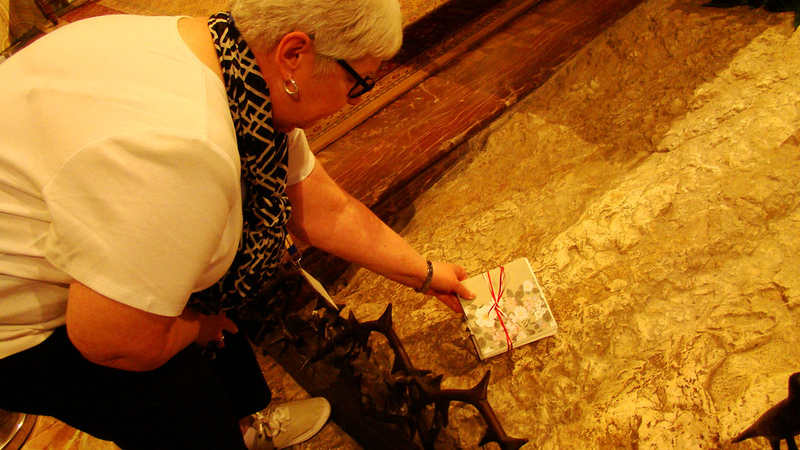 The wall will also put limitations on two religious processions traditionally celebrated every year by the residents of the neighboring village of Beit Jala, she added. The gate is designed to also allow farmers and landowners access to their lands on opposite sides of the wall, though they will need permits to reach them. 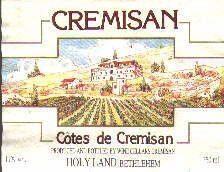 Heinlein said the Society of St. Yves is considering taking the case to the Israeli High Court. 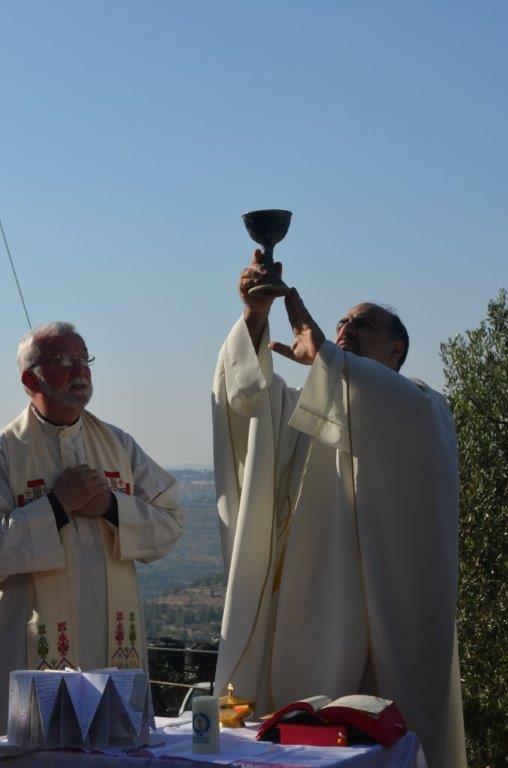 This photo is a glimpse of the situation in which our friends in Beit Jala at Annunciation Catholic Church live out their daily lives. 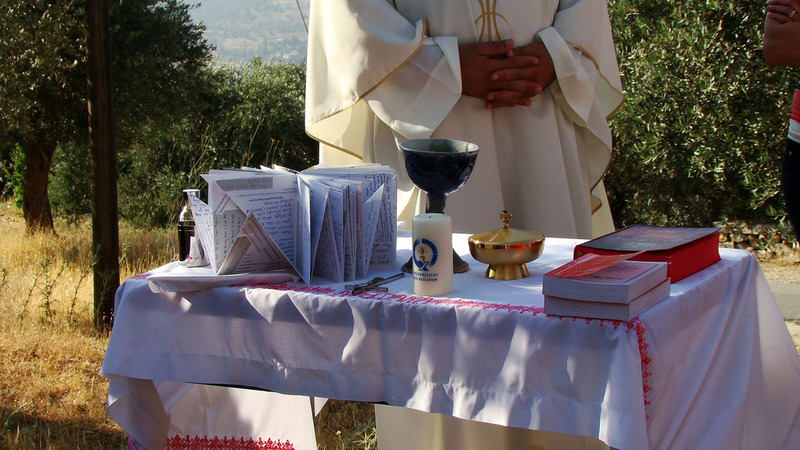 There is a Mass every Friday afternoon in the olive grove of Cremisan Valley to ask God to intercede on behalf on the people of Beit Jala. 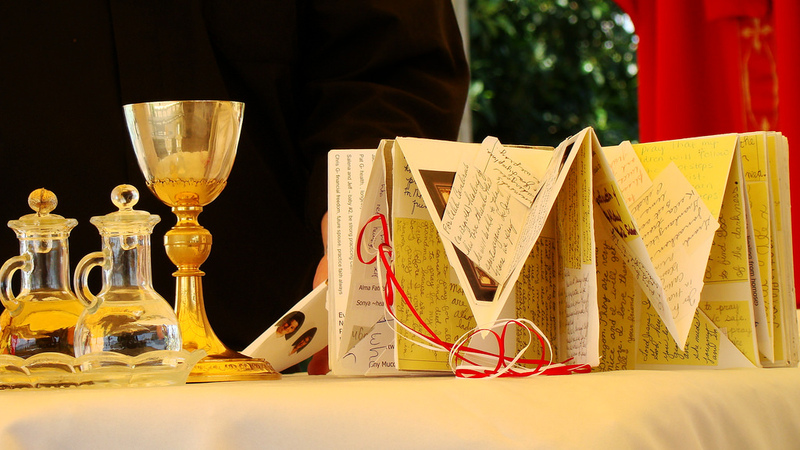 Note the chalice. That is a gift from us to them. 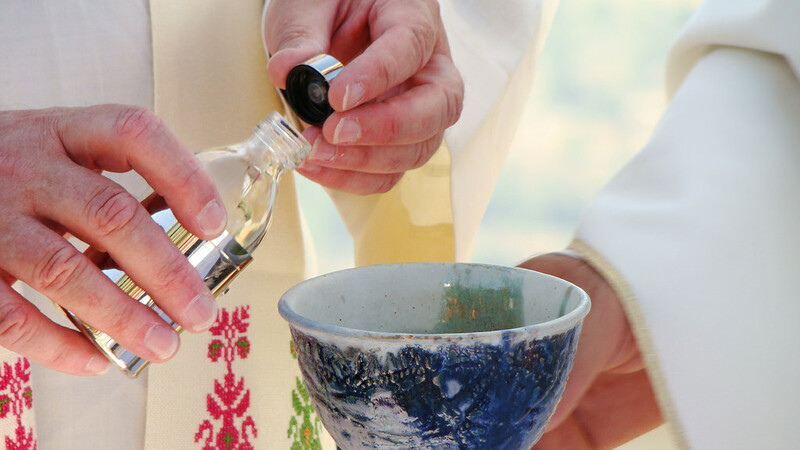 They use it weekly, as they pray. 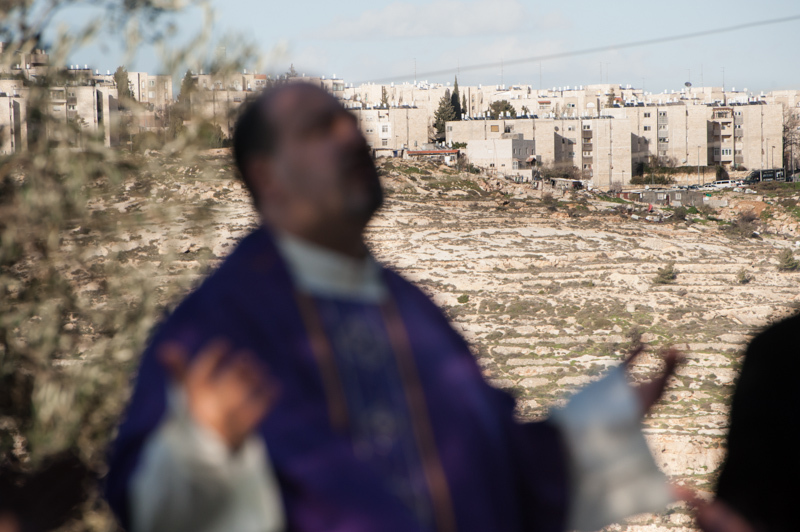 Father Ibrahim, the pastor of the Catholic parish in Beit Jala, prays at Holy Mass, with the Israeli settlement of Gilo across the valley, built on land once owned by the people of Beit Jala. 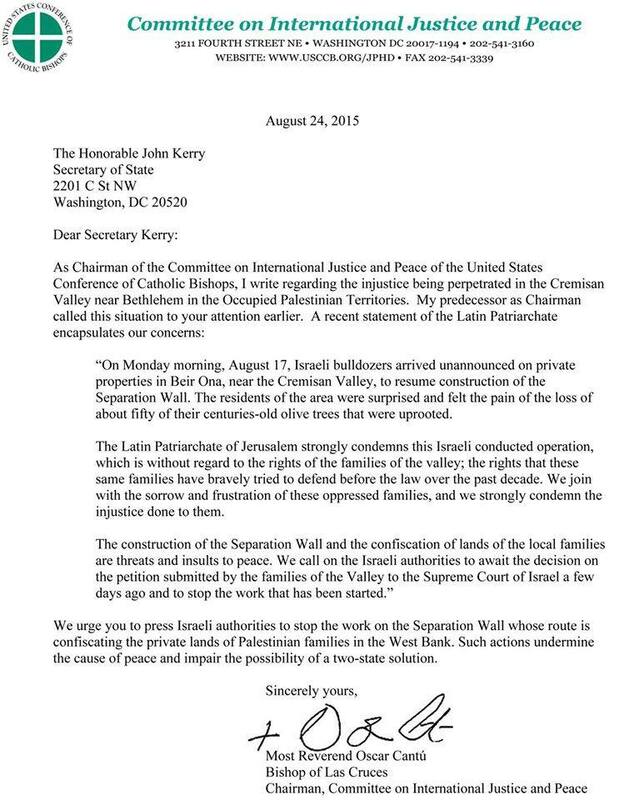 If a new section of the Israeli concrete wall is built through the valley, as proposed by the State of Israel and resisted by the Palestinian Christians, that settlement will spread done the hill, through the valley, and be joined with another settlement on the opposite side of the valley. 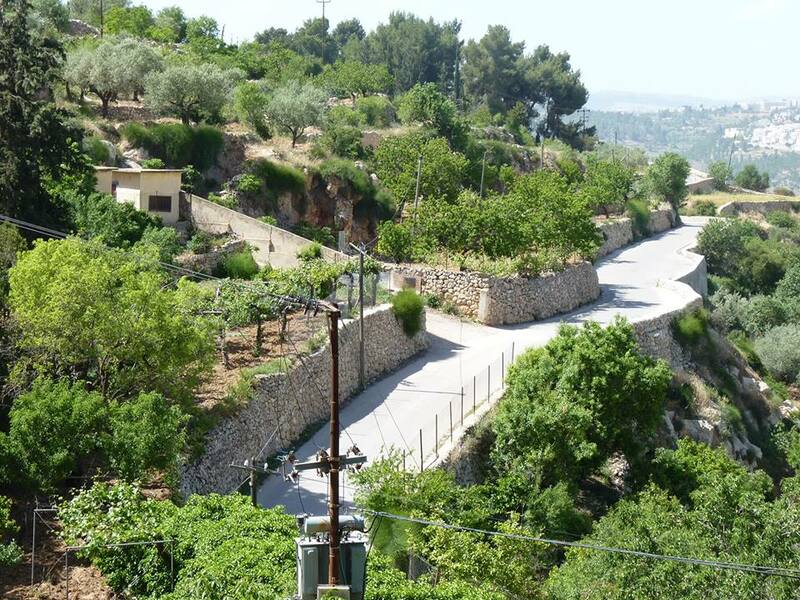 Thus more land, more access, more livelihood, more recreational enjoyment, more freedom of movement and more freedom of the practice of religion will be taken away from the people of Beit Jala.